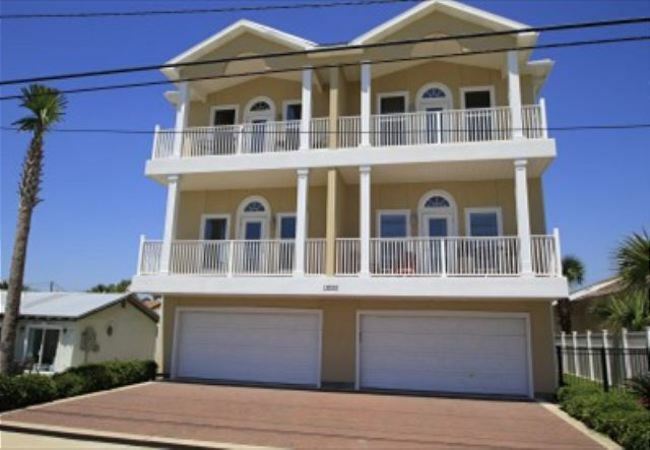 Centrally located in the heart of Panama City Beach on Front Beach Road is Vista Del Mar II which is close to the M.B. Miller County Pier and Pier Park along with Russell Fields City Pier. It even features Jimmy Buffett’s Margaritaville! Eat a cheeseburger in paradise and a cold drink while you enjoy the waves rolling in on the rooftop. Panama City Beach also features an original Hofbrauhaus from Munich, Germany called the Back Porch Restaurant. Other popular spots include the Miracle Strip at Pier Park with a midway full of food, games, rides and more, an IMAX theater with 16-screen movies, Rum Runners, an island grill with a piano bar, some art and souvenir shops with snacks, Pompano Joes, and Tootsie’s Country Bar. In the summer, there are many free concerts to enjoy too. If you are a baseball or softball player, we are located close to the Frank Brown Sports Complex. In-between games, you can come and enjoy the beach! Many people have heard of and been to Panama City Beach, while some have not. If you aren’t familiar with Panama City Beach, the sand is some of the softest, whitest, and nicest you’ll find. It squeaks while you’re walking on it – that’s how clean it is! Our beaches have also been rated among some of the best in the country, which is no surprise there. The waters are calm and clear with soft, smooth sand. The beaches are shallow and gently sloped. And there is plenty of wildlife including sea turtles, stingrays, and dolphins. Panama City Beach provides guests with a world of entertainment options. Local restaurants provide an abundant choice of menu options including fresh, local seafood. Go fishing or diving in the gorgeous Gulf Coast waters. For an unforgettable adventure, swim with dolphins, rent a Waverunner or go para-sailing. Play a round or two of golf at a local course. Of course, there are plenty of shopping opportunities available to find that perfect souvenir. This and much more can be found by staying at the wonderful Vista Del Mar II Condominiums.